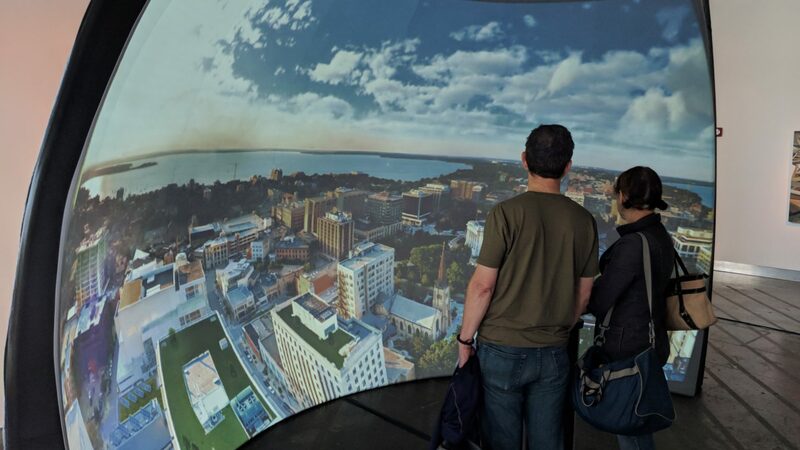 We were invited to bring the GeoDome to the inaugural Fall Experiment, a community event designed to explore and inspire the future of Milwaukee – home to our headquarters – by bringing together technology, art, music and film. The Elumenati were part of the VR Experience Lab, showcasing locally developed games, VR and AR experiences alongside Tech Talks and a Community Design Lab. Topics ranged from implementing AI, to advice for entrepreneurs, to an arcade with classic and indie games. 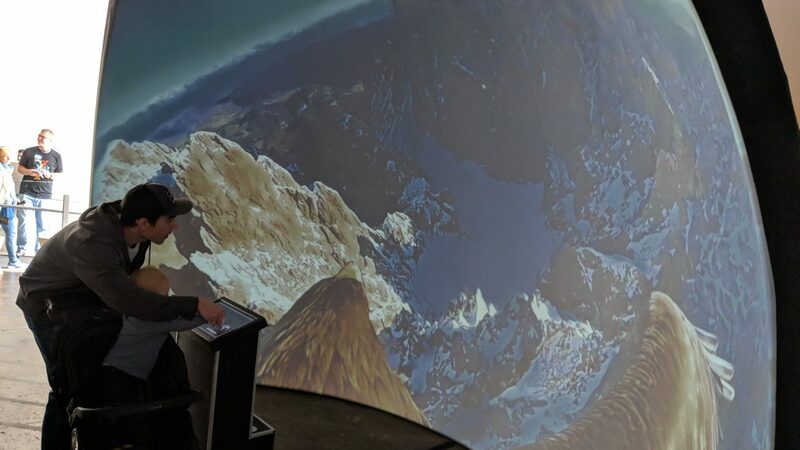 Social, collaborative group VR in the GeoDome complemented headset-based virtual reality experiences. 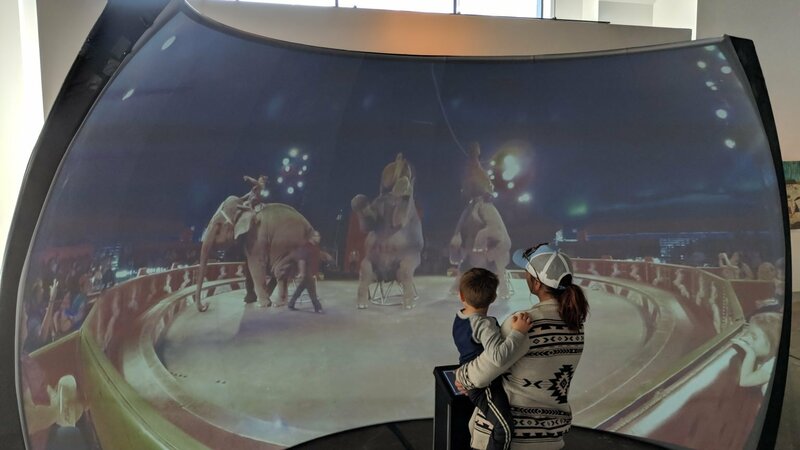 In our GeoDome Panorama, guests interacted with content via a touchscreen, which we’ve integrated with our OmniFocus 30510 projection system + computer + audio in a single portable kiosk. Content came from our team as well as other Fall Experiment sponsors and participants, like our partners at Aspect Multimedia (Baraboo, WI) and Custom Reality Services (Milwaukee, WI). 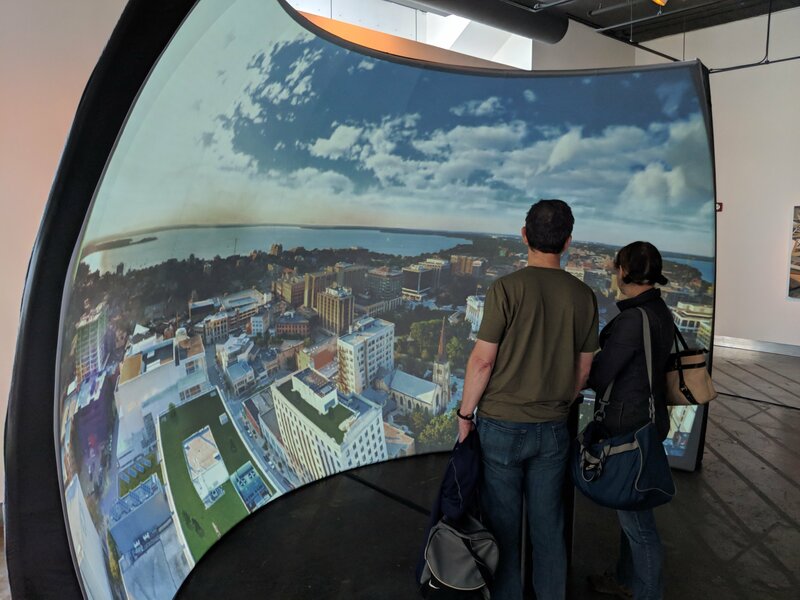 With 360° video in WorldViewer, guests explored Milwaukee and beyond. For extra fun they could play “Hecho’s World” – a Unity game developed by our President, D’nardo Colucci, with developer Clement Shimizu. The Unity assets feature illustrations by Henry Colucci (aged 5 at the time), and the game is playable in the GeoDome via our Omnity plugin, available on the Unity Asset Store. Just as WorldViewer enables storytelling on the global and local levels, we’re honored to contribute to our local community as we continue to expand our business globally.